In a previous question (convert-xyz-points-to-topography-and-calculate-mean-slope), I asked how to interpolate point elevation data to a raster in order to measure slope. Thus I use the Raster > Interpolation tool, and create the raster with TIN method, grid 300x300. This works, however when I calculate slope (raster->Analysis -> DEM) it gets awful. I have few points, but I know some softwares such as Surfer provide tools to obtain a quite smooth surface by resampling. Is that possible in QGIS? Do I need to resample the created raster? Or is there another way to get more "continuous" slope values ? The Slope tool is doing what it's supposed to. The reason for this output is that you're using a TIN. A TIN is a mesh of triangular faces, joined at their edges. Each face is made of 3 coplanar points, which is a fancy way of saying the face's surface is 'flat' - although it can be tilted. The angle of tilt is the slope. Any 3 points in space are coplanar, but you can't say the same about 4 or more. 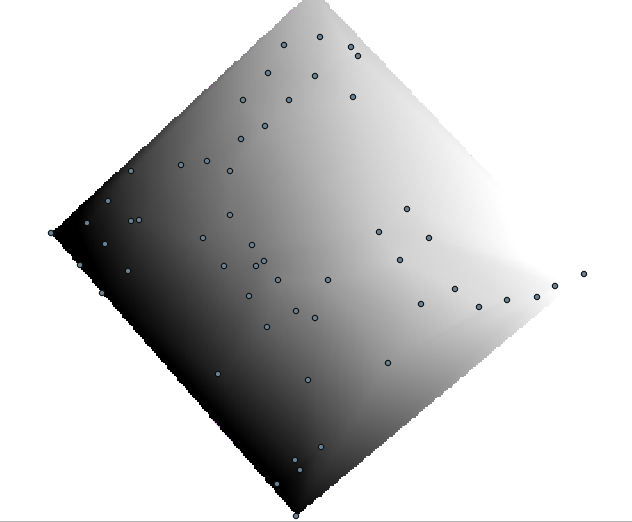 By definition, slope measures the local slope at each pixel. 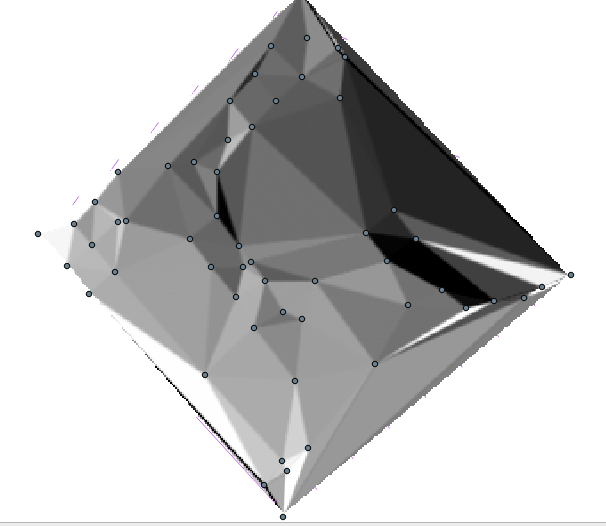 That's why each pixel which forms a triangular face has the same value - they all lie on a plane with the same slope. This aspect come from TIN interpolation. You can try others interpolation methods. You'll find more algorithms in the processing toolbox, especially the SAGA tools. Not the answer you're looking for? Browse other questions tagged qgis dem interpolation or ask your own question. how do I fix this QGIS TIN error?